Demolition | Pavel Švestka, s.r.o. 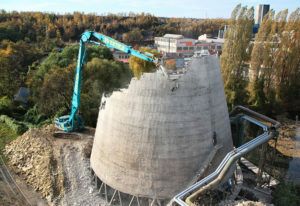 We do demolition works at any scale. 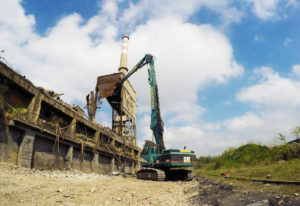 We are a professional and verified provider of demolition works with long history and thanks to the large number of realised demanding projects, we belong to the top in this field. Thanks to our various machinery and numerous accompanying services, we provide for demanding tasks, as are demolitions of high buildings, industrial premises, bridge constructions, maintenance of rock massifs, and other. Our team of trained professionals provides for the tasks to be made with maximum safety measures in shortest possible time with minimum impact for the surrounding environment. This is why we regularly wet the demolition site to minimize the propagation of dust into the surroundings. 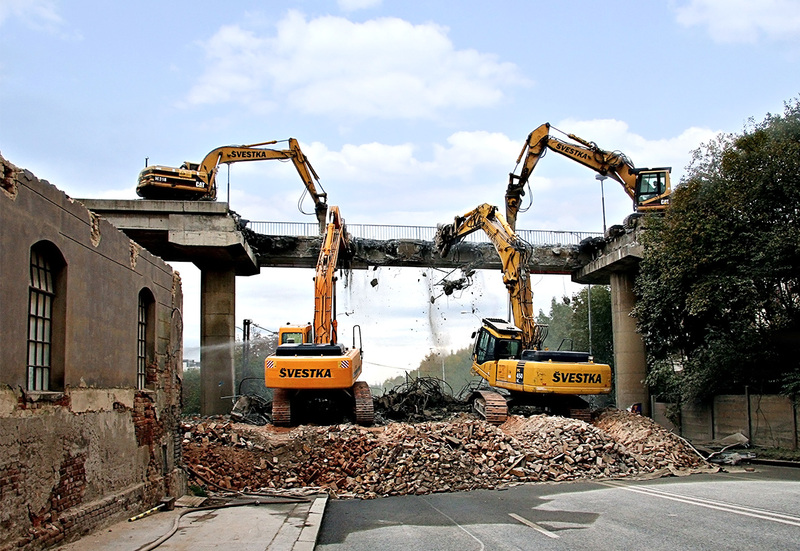 Thanks to our large vehicle fleet and machinery, we offer the provision of complete demolitions from the transport of demolition machinery to the demolition itself, disposal of the debris and final preparation of the demolition site for further plans. These final preparations include rough ground shaping, high volume earth transports and other earth works. 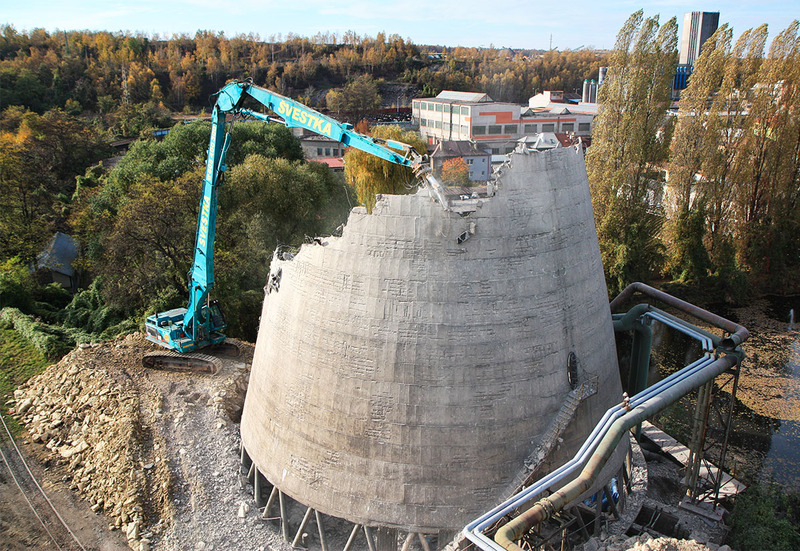 The technology of demolition using hydraulic shears provides for maximum safety when removing buildings and thanks to the low level of vibrations and noise, it is also considerate to the surroundings of the demolition place and the environment. 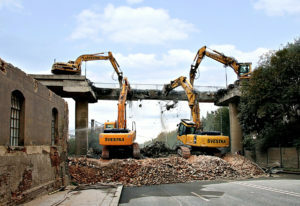 With regard to the environment, we sort and recycle all materials from demolition works. The recycling is made directly in the place of the demolition. By sorting and recycling the material in place we can save financial resources for transport and disposal, because we also use the recycled debris as filling material. After thorough recultivation, we hand over the place prepared for the next possible construction works.